Schools can complement studies in subjects including English, Drama and PSHE with a visit to Aylesbury Waterside Theatre in 2017 with The Curious Incident of the Dog in the Night-Time, Jane Eyre and Gangsta Granny all showing. 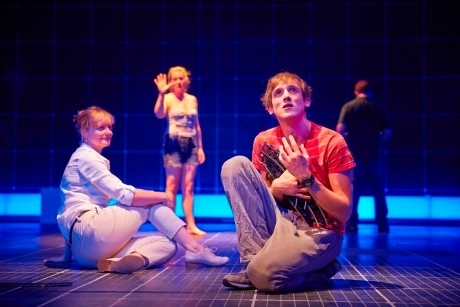 Based on Mark Haddon’s award-winning novel, The National Theatre’s production of The Curious Incident of the Dog in the Night-Time follows the story of 15-year old Christopher Boone, who suffers from Asperger syndrome, is a mathematical genius, and is intent on playing detective to an unsolved crime on his street. Schools can book to see the production at the Aylesbury Waterside Theatre from Tuesday 7th to Saturday 11th February 2017 and can link the visit to curriculum learning in Drama, English and PSHE for Key Stages 3 to 5. On 7th and 8th February school groups seated in bands B or C will receive one free teacher ticket for every ten purchased. The National Theatre also offers an extensive range of resources designed to enhance students’ understanding of the production, which can be downloaded from www.curiousonstage.com/learning. From Monday 24th to Saturday 19th April 2017, the National Theatre’s production of Charlotte Bronte’s Jane Eyre will play at the Aylesbury Waterside Theatre. The adaptation of the classic novel, which uncovers one woman’s fight for freedom and fulfilment on her own terms, can assist Key Stage 4 and 5 studies in English and Drama. A range of short films and PDF resources are available to support visits to the production. The pre- or post-visit resources can be found here. Schools visiting on 25th or 26th April in bands A to C will receive one free teacher ticket with every ten tickets purchased. Meanwhile Primary schools can visit the theatre to see David Walliams’s Gangsta Granny. Showing from Wednesday 17th to Sunday 21st May 2017, Gangsta Granny is suitable for ages five plus. It tells the story of young Ben and his granny as they embark on the adventure of a lifetime. To book any of the shows call 0844-871 7614.